When it comes to affordable 100% agave tequila that’s good enough to drink straight (no lime, no salt, no ice) there are a few standouts worthy of your consideration. This is, by far, the biggest bang for the tequila buck that you can get. It doesn’t get as much attention as some other brands, but maybe not having to spend tons of cash on marketing is one of the ways they are able to keep the cost down. Adam Stemmler of the East Bay Spice Company introduced us to it one night while we were visiting his bar in Berkeley, California. Just as we were sitting down he slides a glass across the bar to us. “Try this. I’ll tell you what it is afterward,” he said. So we did. It was bright, crisp, clean and full of baked agave. It’s wasn’t overly peppery or astringent like most cheap tequilas tend to be. I expected him to say that it was a rare or expensive tequila that he was saving for special occasions — but it wasn’t. “Dollar for dollar, it is as good as any spirit in any category on the market today,” said Stemmler. Coming from a guy like him, that is some high praise. 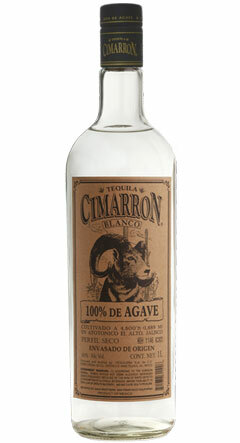 Cimarron is a tequila made by Enrique Fonseca, who is best known as a maker of some very expensive products including Fuenteseca, Artenom 1146, Don Fulano, and Tres, Cuatro y Cinco. The single-estate agave used in all of these products, including Cimarron, is sourced from his own farm, which is another reason why it remains affordable during the current agave shortage, where the price of agave is near an all-time high. I recommend this tequila because of its versatility, price, and quality. Use it in cocktails or sip it straight – you can’t go wrong with this choice. This is another tequila that surprises me each time I drink it, and it appears that I’m not the only one who feels this way. Pueblo Viejo Reposado gets high marks from members of the Tequila Matchmaker community as well, often scoring higher than tequilas double and triple the price. It has light, subtle aromas of agave, vanilla and cinnamon and is easy to drink. We discovered it on one of our first visits to Jalisco, at a restaurant in Tlaquepaque. It was one of the cheapest tequilas on the menu, so we decided to give it a try, expecting a you-get-what-you-pay-for moment. We were surprised with how good it was, and ordered several more rounds. When we came back home to San Francisco we found it in a local retail liquor store, and it has been a staple in our home bar ever since. You can get a 750ml bottle of Pueblo Viejo Reposado in California for around $20. If you’re a fan of añejo tequilas, you’re in luck because Pueblo Viejo Añejo is also a great choice. A 750ml bottle is about $27. That is a bargain. This brand started in the UK, and eventually made its way to the USA. Created by a pair of well-known bartenders, it was designed for use in cocktails, and it also tastes great straight, all while not breaking the bank. (Tequila is more expensive in Europe than it is in the USA.) It was a tall order, but they managed to create exactly that. Many tequila aficionados love the complexity and depth that comes with tahona-crushed products (such as Fortaleza, Suerte, and Roca Patron), but these products are usually priced higher because the production method is slow and costly. Olmeca Altos is made up of 50% tahona-crushed agave, and 50% roller mill. During the 2014 Tequila Challenge blind tasting events, Olmeca Altos Plata received the overall highest scores in San Francisco. In Seattle, Olmeca Altos Reposado was the second highest scoring tequila out of six, and every other tequila in consideration was at least double the price. You can find Olmeca Altos Plata and Reposado for around $25 for a 750ml bottle. There are many 100% agave tequilas available under $30 per bottle. Which would you recommend, and why? Tell us below! Herencia was my best find of 2014. LOVED it! Have to drive 90 minutes to get it. Will buy 4 bottles next time and hoard them. I like Gran Centenario Plata at $20 per 750ml. Earthy with soft citrus, pear and floral notes, it cocktails well but I enjoy sipping it more. This is usually my flask tequila. One that I find worth the price is Familia Camarena Tequila. Both the Blanco and Reposado you can get for 19.99 or less. Love the price, but I tend to get a hangover from the reposado as if it were a mixto. Just my experience. My favorite “really cheap” Tequila these days is Agavales Blanco at $12.99 a 750ml and their Reposado at $14.99. They are definitely worth having on the shelf for that 3rd or 4th shot. They come from the same Nom 1438 as Magave, which I’ve bought their Anejo at Costco–I have not had their Blanco or Reposado. Costco’s Kirkland brand Reposado also comes from the same distiller and is similar to the Agavales Reposado, but I find the Agavales to be a little better–the Kirkland tastes slightly watered down in comparison–it’s the same $14.99 but for a liter–not sure if it’s worth it. The Kirkland brand Blanco and Anejo come from a different distiller, Fabrica de Tequilas Finos, S.A. De C.V., or Nom 1472–have not tried those either…. the consensus about Costco is you get what you pay for! I just cracked a bottle of the Cimarron Blanco and I have to agree it’s pretty damn good! It’s got all the good notes with none of the bad… anise, black pepper… what else? Guess I’ll have to pour another shot! I have been drinking the Olmec Altos Reposado for about a year now and I’m having a hard time moving to a different tequila just to try it out. $22 / 750 ml . i like it better than patron for half the price. mixes well or straight is just fine. tired of paying $$$$ just “because”. like the one reviewer said: ” i dont know how they do this for half the price”. I agree, the quality is outstanding for half the price. I love the Reposado straight, it’s downright magical. It’s the only tequila I buy anymore. I kinda like it, first time trying it and it reminds me of Patron but just a hint stronger…I like it. But Pat Ron is the best to me. I agree, its become my daily driver, as it were. Hard to beat for the price. I also age it myself and comes ut better then many $100+ a bottle Extra Anejos’. I stumbled across Dobel Masetro about a year ago and it’s become my absolute favorite whether in a cocktail or sipping. Although its appearance is that of a blanco it’s actually a reposado. I can get it for an unbelievable $23. Everywhere else it’s almost twice that. Try it and you’ll also be hooked. Yes it is quite good. I’ve enjoyed it also. It is a blended reposato and blanco filters to give that pure Blanco appearance. But it is smooth and enjoyable. I found in the Dallas area at American Spirits for $26 a fifth. Here in Central Louisiana with our one Mom & Pop liquor outlet it is $52. But we’re use to Old Money robbery here. The best low cost tequila available to us is Cazadores reposado. Antigua herradura blanco is selling for $5.99 at remedyliquor.com a great sipper or mixer and at that price cheap enough to buy by the case. Rancho Allegre sells for $15 a liter here in New York. That’s for either blanco or reposado. The rep’s not bad, but the blanco is better. I drink both neat or mixed. Yes, I said $15 a liter in New York! Not easy to find, though. Yes, that’s cheap. It’s made with a diffuser, though, which is why they can sell it so cheaply. If you’re into the smells and tastes of that particular production process, then go for it! I drink all my tequila on ice. Olmeca Altos Plata and Espolon Blanco have been my two favorites lately. Used to love El Ultimo Reposado but I keep finding other inexpensive 100% agave ones to try so I have a hard time getting back to “needing” to resupply. But it’s my affordable favorite. Wow, I love the comments on the notes of some of them and how ur taste buds are so tuned into them. I find that very expressive how u can detect which ones have the best underlying notes. But for me……..it’s so very very simple, as simple as pie so to speak,but for me it’s not only the price of course but it must have everything I’m looking for in a good to amazing to tequila, so with that being said………I must admit in all and of course what I’ve learned about the difference but I gotta say despite it sounding crude or incredibly tacky…………..I love how it makes me feel, there I said it. Now….good day. My local Bevmo has Chinaco Blanco for $19.99…what a steal…I feel El Padrino Repo and Gran Centario Anejo also are under $30 and I have paid 2-3 times for the same drinkability. Crushed and cooked via diffuser and perked with the column still. Just tried the Omeca Altos Reposado. It a close second. But, my all time favorite is Jose Cuervo Tradicional Reposado. Under $25 and very little burn. 2) historically cranking-out their products as economically as they can . . .
No matter what is printed on the label . . . crushing the agave in a diffuser and cooking it in a diffuser and perking it in a column still . . . never was traditional and hopefully never will be! There are tequilas here that are economical,made well, are solid and have class . . Jose Cuervo is not. El Charro is another great award winning tequila; very much worth a try! I agree, I very much enjoy El Charro. Perhaps not quite as nice as Altos but I can get it for about $10 cheaper (for the blanco). Espolon Blanco is amazingly smooth and has a wonderful flavor. It costs in the $22-25 range and is to me the best available for the price to drink straight. Naturally, it is 100% agave. Check it out! Crushed via Roller Mill, cooked via Autoclave + perked via Column Still. I’m a patron type of girl ! I’m afraid of trying other types of tequila , can anyone recommend something similar to patron ? I personally think patron is the most over rated Tequilla I’ve ever had. Olmeca Altos is half the price, but taste is is top notch. 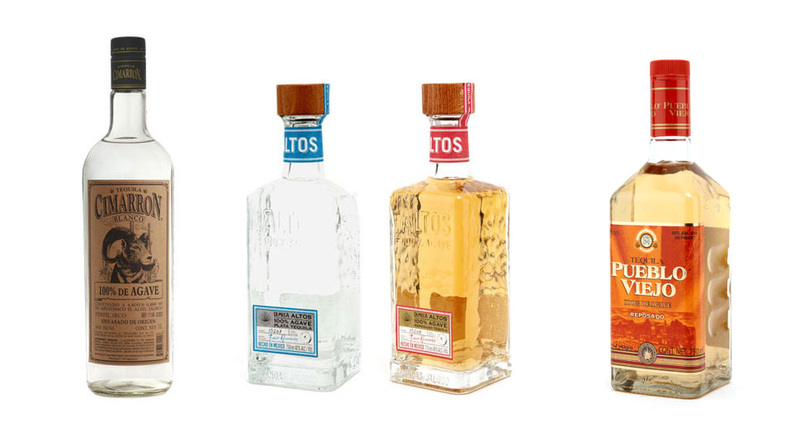 Cabeza, Cosimigos, Don Julio go up in price from Altos, but all high quality and worth a try. Absolutely agreed. Olmeca Altos reposado is impressive! Very smooth, no burn, and almost floral finish. Patron never did it for me. Agreed 100%, in fact the only way I drink Patron is in a bar or restaurant and basically no other choice. Patron is an over hyped marking scheme using entertainers, rappers and hop hop artist to create fan fare. For the money you spend on Patron I can recommend a lot better. Try Dos Lunos, Tres, Don Julio to name a few it blended Meastro Dobel Diamond or Hussong. All are better in my opinion as is Altos for nearly half the price. I’ve also found Justin Timberlake’s endorsed 901 to be pretty good and I usually have entertainer endorsed products. They are usually just hyped. Also Casa Noble, Cabo and Milago. Before Pernod Fils’ acquisition, Viuda de Romero was distilled at the 2nd oldest tequileria in Jalisco, MX. I discovered it during a 2 year stay at Pto. Vallarta– ’99-’01. Then, a 750ml bottle was easiest to find at the supermarket for $8US, while tourists shot Cazadores, Jimador, Herradura and others. I let my palate decide. Purasangre is another hard-to-find winner. Third El Charro. The Blanco is about $15 at my local liquor store for 750ml. I got them to special order El Charro Anejo. Total cost was only $20. It’s not the best, but I’ve never had better for less, and I’ve had many worse for more. I buy the Cimarron liters for $15/bottle by the case. Great tequila, I would pay double for it without thinking too hard. El Jimador is pretty widely available and a solid pick in the under $20 price range. Otherwise, the Tres Agaves line (low-$20’s for blanco, mid-$20’s for Anjeo) is hard to beat. Rich notes of agave, vanilla, wood and a peppery spice normally only found in higher end tequilas. You can sip the blanco neat just like Ambhar, Avion and El Reformador. Best Buy. Does anybody know if Cimarron can be found in SoCal? I got a bottle of 3 Amigos Anejo for under $30… on sale… excellent. Espolon Repasado for $20 is a great deal too. Corrralejo Reposado – My favorite! My always go to tequila. Sweet, smooth, full flavor and $24.00 can’t beat it. One of my all time favorites is Aha Toro Blanco or Reposato. But unfortunately I can’t find it anywhere still in the US. A friend found a stash in San Fransisco but we quickly depleted their supply. But anytime we know if anyone going to Mexico we place an order list. I also have enjoyed El Mayor Blanco and Repo at a great price point around $26 when available. Just tried Olmeca Altos Reposado yesterday. Great value, Great complexity. So good I can drink it straight for breakfast! I’ll hold off until lunch. Fathers Day! Olmeca Altos Plata…smooth and sweet! I’m finally expanding my palate to include tequilas – currently on a round robing binge of El Jimador Reposado, Lunazul Blanco, and Olmec Altos Blanco; all three are inexpensive and very, very tasty. When you can get a good drinking tequila or a decent sipping tequila for 2/3rds to even less than 1/2 the price of good roller crushed agave tequilas that is GREAT! When you can get that same economical tequila that is produced from a 50-50 proportion of the more efficient Roller vs. the traditional Tahona wheel method for crushing the agave. That would be near unbelievable and that deal has to be even GREATER! 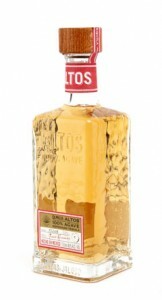 Altos is a great tasting value, also really like the Exotico reposado, it’s 15$ a liter here and is very nice! 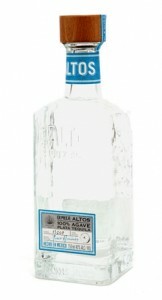 Have really been enjoying the Altos plata for palomas & here in Alabama the liter is $21.99 while the fifth is $24.99. Only in ‘Bama, folks. A friend of mine who likes tequila gave me a bottle of Espolon Resposada. I liked the buttery taste so much I went to get a new one after it was gone and was very happy to find it was only about $20! I want it for sipping rather than shooting or mixing, and while I don’t know a lot about tequila it seems like a good value to me! … and I forgot to say, the Day of the Dead artwork on the bottle is great! Thanks to everyone for pointing me towards buying my first bottle of Olmeca Altos Reposado for only $24. I went back to drinking rum over the past three months, but needed to get back to tequila because of it’s weight loss benefits from the agave. I went through my tequila phases with Cimarron, Camarena, Espolon, Dos Manos, and Hornitos. I now have 5 anjeo tequilas in my collection plus this one reposado. I now have them all ranked. This reposado actually beat out two anejos costing more. At the top of my list is Casa Noble Anejo at $45. Nothing beats this one for rich flavors and smooth taste. Then comes two $50 anejos by Avion and Don Julio. This cheap Altos Reposado comes in fourth. It is actually a shade darker than my fifth place Tres Agaves Anejo costing $37. Coming in last place out of six is Tres Generaciones Anejo at $33, which is a bit too harsh. This Altos almost gives third place Don Julio Anejo a run for the money. The saying goes that if the distiller gets the blanco tequila wrong, then there is no hope for the reposado or anejo. I worked this in reverse. If the anejo is good, then the blanco has to be great. After researching tahona stone milling and Fortaleza tequilas, I spent $49 today for my first bottle of Fortaleza Reposado. Both the Fortaleza and Olmeca Altos use brick ovens to roast the agave pinas prior to milling. Fortaleza uses 100% tahona stone milling. Olmeca Altos uses 50% tahona stone milling and 50% roller milling. For the two reposados, the Fortaleza was aged only 4 months and is the lighter of the two. The Altos was aged 6-8 months and the color difference shows. Tasting side by side, the aroma of the Altos is very good, but not quite up to the level of the Fortaleza. On the palate are similar tastes for both. The difference lies in the much smoother finish for the Fortaleza. My conclusion is that we should all be lucky that Altos only costs $24 instead of $48. If I had to price the six tequilas in my collection by taste, this Altos would be between $40 to $49!!! Of course, if you can afford a bottle of Fortaleza, by all means go for it. I am sure glad that I took the chance. Being intrigued by the process of making tequila, I did a bit more research. I also bought a bottle of Omelca Atos Plata for comparisons. Once one understands the full process on how tequila is made, only then can they make wise decisions on their purchases. The Altos Plata was just as bitter on the finish as the Altos Reposado, if not more so. So much for blaming the aging for the reposado. After further research, I found out that the fibers of the roasted agave pinas are also added to the Tahona milled juices for Altos tequilas. Ironically, the fibers are left out of the roller milling process. Since Fortaleza only uses the Tahona milled juices, I can only conclude that this is why Fortaleza tequilas cost so much more and where the somewhat bitter aftertaste of Altos Tequilas comes from. Now that I know all of this, I have advice for Master Distiller Jesus Hernandez at Olmeca Altos! Why waste time and money on Tahona Stone Milling when it does nothing to improve flavor if you wind up throwing the fibers into the mix? Just use 100% roller milling to increase your profits and to save all of us tequila lovers money. Do this and no other budget tequila will be able to touch you! As for Margaritas, it started out as a very disgusting drink to disguise the awful tequila that was available in those early days. One can either thank or hate Jimmy Buffet for putting the now popular Margarita onto the map. The one thing that puts the venerable Margarita over the top is switching from Blanco Tequila to Reposado Tequla. Believe me, I have tried several combinations! As for switching from Triple Sec to Citronge Orange, Grand Gala, Grand Marnier, Cointreau, or Mexican Controy, you are only wasting your money while adding sugar that will bring on a hangover. As for improving on the lime juice portion, there is really no need for improvement. It looks like I have stumbled upon the benefits of tahona stone milling. Minerals come from the two-ton lava rock wheel used in the process. There is no question about the fact that minerals impart health benefits, but as to whether they improve or detract from the taste of tequila is open for debate. I still think that Altos would be an even better tequila if fibers had been left out of the juice, as long as it is not milled in a diffuser and cooked later. Roller mill it and enjoy the finished product with Top Chico Mineral Water at a later date. Did I ever luck out today or what? I found a bottle of Suerte Anejo that is 100% tahona stone milled from horno oven roasted agave pinas. It was only $27 and the cheapest that I have seen it online is $23 more. All I can figure out is that this true artisinal tequila made the huge mistake of putting an image of a large bunny rabbit on the front of the bottle with the equally bizarre story to boot. This has hurt sales. Basically, “suerte” in Spanish means “luck” and as the legend goes, hundreds of years ago bunny rabbits were getting drunk on fermented agave hearts, so the town folk got lucky in finding out how to make tequila. True tequila snobs frown on this kind of foolishness, but I not only love it because I also know how to take advantage of super bargains like this. It was so good that it gave my Fortaleza Reposado a run for the money. Thinking that this was the last bottle of Suerte Anejo at the store, I went back this evening to pick up “the last two bottles” of Suerte Reposado at the same price. Guess what? The shelves were already restocked with more Suerte Tequila at the same price. I still bought two bottles of Suerte Reposado for $27 each, but they are almost like blancos due to being aged in uncharred American white oak. Both are VERY good! So if you see a wide round clear bottle of tequila with a bunny rabbit painted onto the front and it is going for less than $30, don’t laugh! Just buy it! I have to agree with alot of the other comments that olmeca altos plata is one of the better tequilas for the price,we bought our first bottle today 4-17-2018 and enjoyed the flavor alot and to top it all off our store had it on sale for 14.99 instead of the regular price of 24.99 for that of saving 10 bucks abottle i just might have to go and buy a case of them. Cimarron Repsoado is the best ! OMG can’t believe how good it is . Now this is real tequila ! Buy all the bottles you can . I did ! Corralejo TRIPLE distilled is the very best in this price range,without any doubt,very much different than regular corralejo. Open these expensive tequila’s up to air,just like fine wine.a short wide glass is must.